Going back in history to the 18th century, Penang or the Pearl of the Orient was a vibrant international port city. Consequently, it has grown to become an innately multicultural society as people from all over the world have settled in the expedient island. Penang epitomizes the rich mix of culture in Malaysia that include Eurasian, Malay, Chinese as well as Indian. All these cultures are embroidered in Penang’s energetic architecture, plush cuisine and captivating art. Most of the times, either of these groups is holding a festival or parade that you can just watch if not participate in. Penang Island’s capital Georgetown is a UN Habitat World Heritage site that comprises of the old buildings erected when Penang was a British colony. Wandering in Georgetown is a breathtaking experience of the diversity in Penang that ranges from the sprawling China town, majestic mosques, awe-inspiring Hindu shrines, and spectacular Thai temples to amazing Buddhist monasteries. The Penang National Park at the northwest of the island is a habitat for marvelous biodiversity comprising of more than a thousand species of wildlife including numerous birds’ species. The hiking trails in the park and the beaches are wondrous such as the Monkey Beach which is a beautiful hiking and picnic spot. Penang is a world renowned holiday resort, particularly due to its stretch of striking beaches. Beach lovers just can’t have enough of Penang. The mere mention of Penang brings about thoughts of sumptuous foods that range from fresh fish and other delicious ocean foods caught from the surrounding waters, to unending platters of tasty tropical fruits. Penang is undoubtedly Malaysia’s food paradise, and its diverse and delightful cuisine is increasingly winning hearts and mouths in Asia and the rest of the world. There’s nearly every kind of food in Penang, including the popular local street food such as sour assam laksa, curry noodles and prawn noodles. A huge variety of international food is also on offer including Chinese cuisine and Indian cuisine. A sizeable number of expats who have settled here operate cafeterias and restaurants. It’s not a wonder to be served your home country’s authentic food. Penang is rapidly growing. Various multinational firms have set up base in the island, including the likes of Dell and Intel. Actually, the vibrant tourism industry in Penang as well as the presence of big companies have been the major reasons behind the great increase of expatriates. While some expats live and work in Penang for a given number of years, many opt to remain in the lovely haven. Virtually all business segments are doing well in Penang and most people who choose to stay here have started their own businesses. Additionally, the MM2H or Malaysia My 2nd Home program by the Malaysian government assists expats moving to Malaysia. The rapid industrial growth and a dynamic tourism industry have steadied and catapulted the economy of Penang to great heights, particularly the property market. 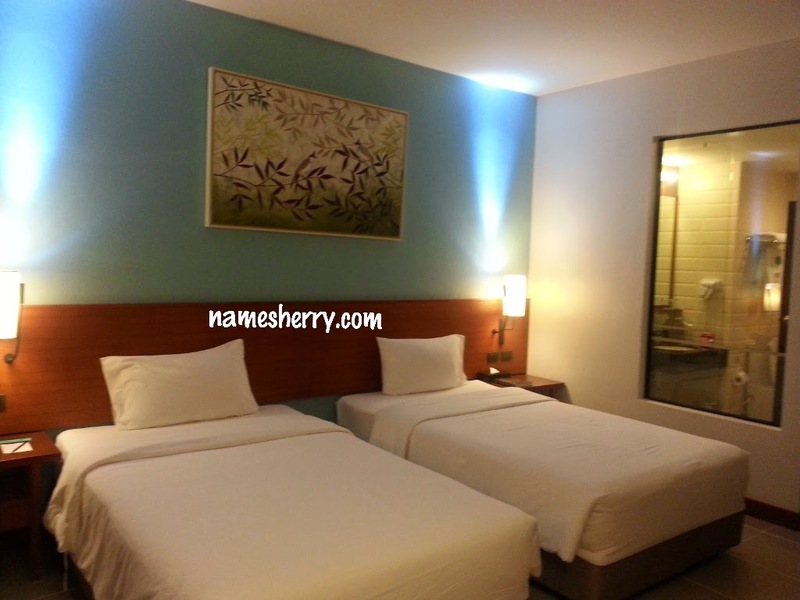 There are numerous housing options and you can be sure to find a fitting apartment for rent in Penang including condos and bungalows that overlook the sea, as well as hostels for backpackers. Importantly, the monthly rent and other expenses are significantly low compared to other parts of the world. Everything oozes affordability in Penang, from the food to the groceries to rent. when you move to Penang, you can enjoy the sun, sand and sea whenever you want. Moving to a different country can result to a harsh experience, but it can be a big plus when you’re able to easily converse with the local people. Luckily, English is largely used in Penang and foreigners need not learn another language. While not everyone around here is fluent in English, a huge percentage of the locals wherever you go are acquainted with a good level of the Queen’s language. Malaysia gained independence from Britain in 1957 and numerous Malaysians speak English as well as Bahasa Malaysia which is the country’s national language. That aside, Penang locals and Malaysians in general, are very sociable and welcoming to foreigners. It is quite easy to make new friends around here. Penang boasts of top quality medics and cutting edge hospital facilities. The majority of medical practitioners here are trained in top educational institutions in Europe, yet patients are not required to cough out top dollar for consultation or treatment like in the West. This has led to the rise of medical tourism in Penang as patients from all over South Asia come here to seek medication. Consequently, current hospitals are expanding as new ones are also being opened and equipped with the latest medical technology. Importantly, all private hospitals use the Queen’s language and there’s no worry about miscommunication or misdiagnosis. Penang's diverse culture, culinary servings and economy makes it incredibly easy for newcomers to acclimatize and bed in with the landscape. 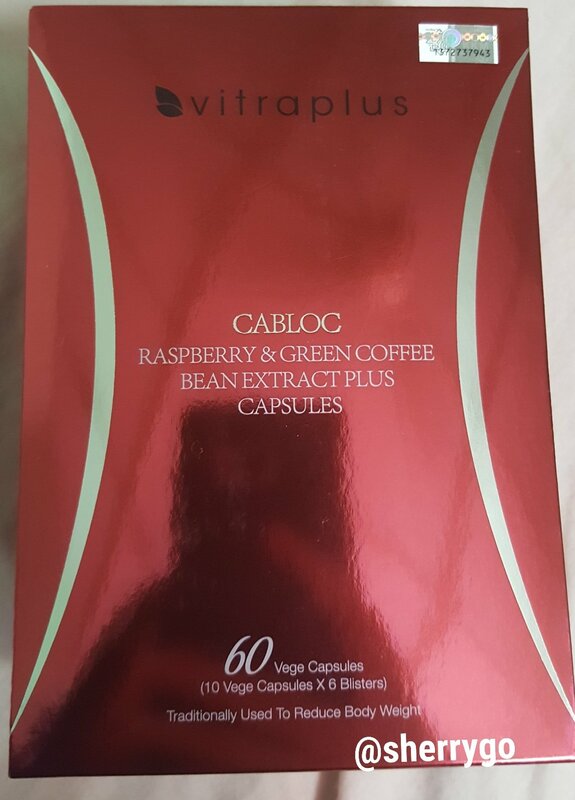 This red box is Vitraplus CABLOC Rasberry & Green Coffee Bean Extract Plus Capsules. This box contains of 60 vage capsules. It is traditionally used to reduce body weight. 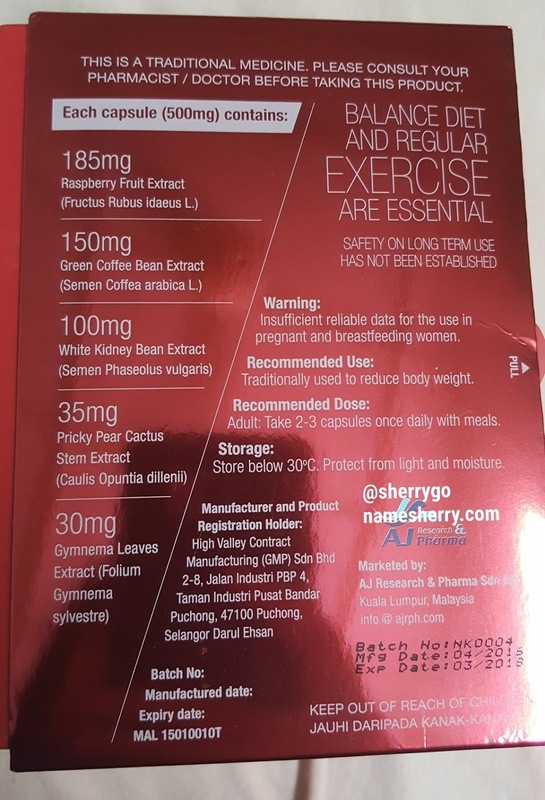 It is to consume 2 to 3 capsules a day with meal. I took 2 capsules after meal, I also drink plenty of water. 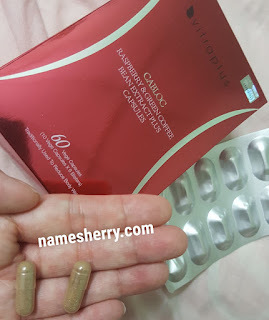 I didn't feel any stomachache after taking the capsules. This Product Not suitable for pregnant & breastfeeding mom. click the image to see the ingredients. It is stated at the back of the box " This is a traditional medicine. Please consult your pharmacist/doctor before taking this product. Everyone has got a busy lifestyle, you can take this but don't forget you also need to have balance diet and regular exercise are essential. Back of the box also stated safety on long term use has not been established. This product is suitable for vegetarian. I like this as it can be easy to carry around, just take out 2 capsules if I am going for a day trip. 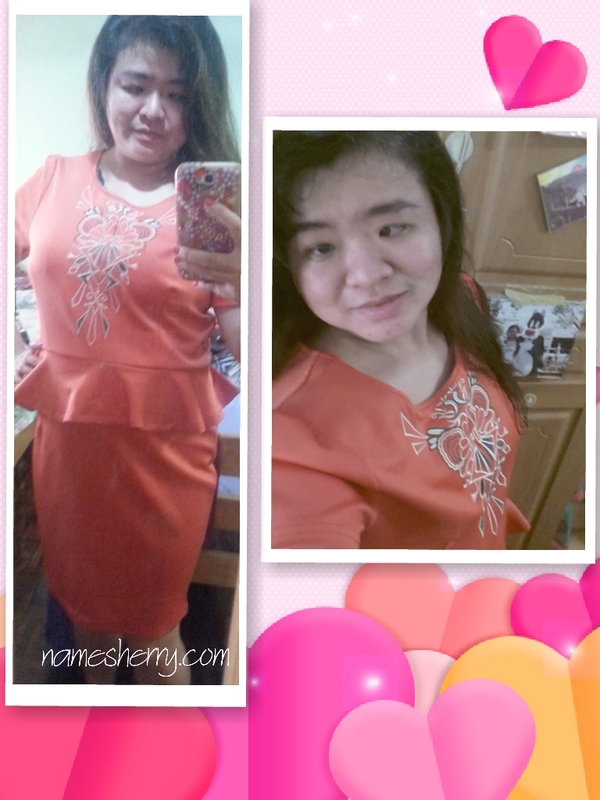 Special thanks to 100Comments for sending me the product for review. You can click on the link to view more product reviews on the website by users. 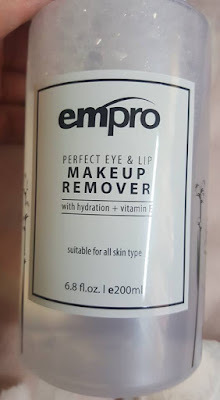 This is my first time to use Empro Perfect Eye & Lip Makeup Remover and I find it non sticky after use. It doesn't make my skin feel irritate. The direction for use is press pump 3 or 4 times. Once open the bottle, it is looks like above. For ingredients can refer to the photo below. I like to use this as it is easy to pump bottle. After using the 3 cottons pad I can see that my face is clean. 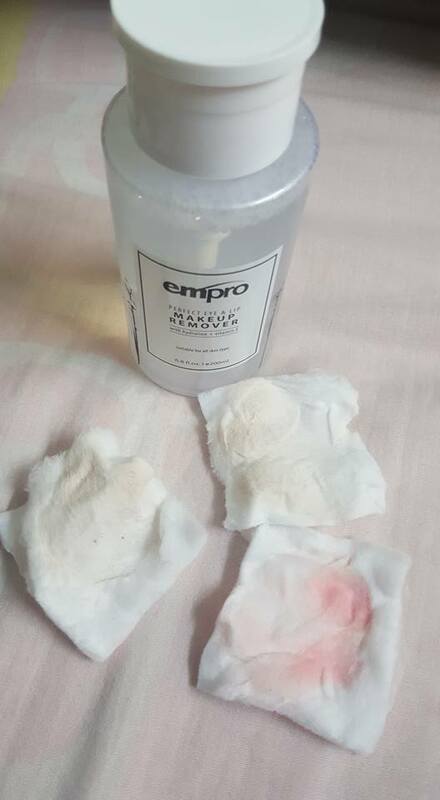 The Makeup Remover removed my foundation and lipstick. 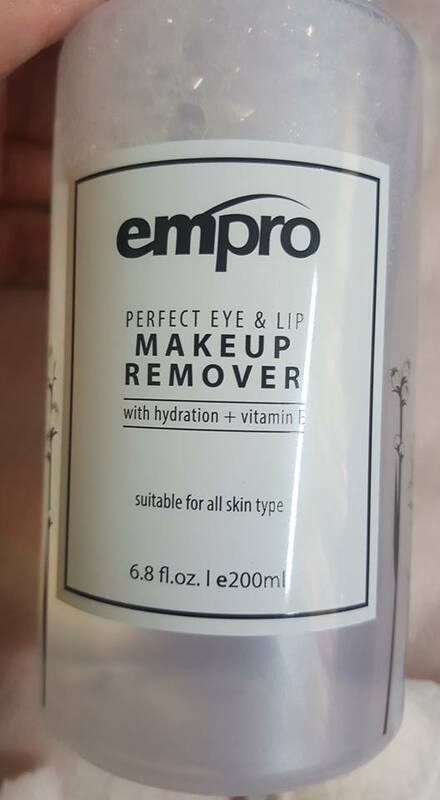 The product Empro Perfect Eye & Lip Makeup Remover with hydration and vitamin E is suitable for all skin types. 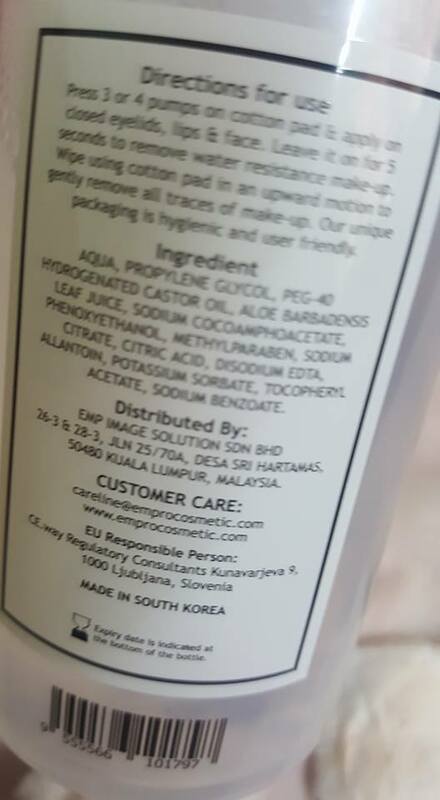 It is 200ml a bottle, product is made in South Korea. 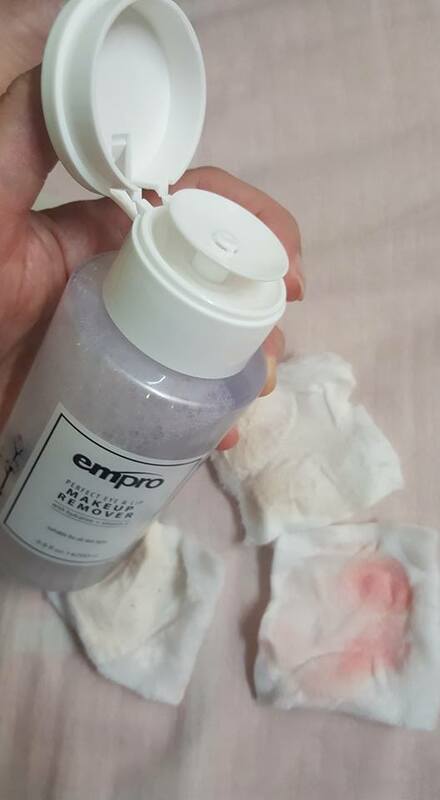 Special thanks to 100comments for sending me the products.